Acts of Devotion – do they compel us to spirituality? So a good friend recently suggested that I add evening devotionals to my daily practice. Before I go to bed I offer a toast to the gods and goddesses I am tied closely too (So for me, that’s currently two toasts), giving thanks for their blessings. Interestingly they also said that it should just be thanks, no requests. I’ve been doing it for a little over a week now, while I’ve been building an altar (see my Instagram photos for pictures). I’m finding myself drawn to doing other spiritual activities. Not the classic Blots, or other rituals, but other spiritually related items. I’m working on an online class on the runes (It’s going to take some time), and I’m also testing the waters on periodic moots. (A moot is a gathering that is social in nature, and isn’t focused on ritual). Gatherings like this in the DC metro area are problematic at best. I’ve tried it for other social circles as well, and attendance is always spotty, and finding good locations, particularly in northern Montgomery County can be difficult because there are very few bars. But I did find a bar, Quincy’s which I think will work. I’m going to try a weekday, see if we can avoid people’s busy weekends. It’s not fancy, and the shelves aren’t huge, but its enough to put a statue, a candle, maybe a small fountain or incense burner. 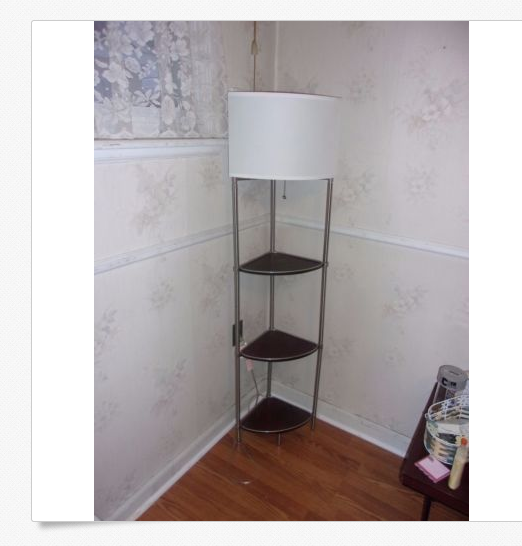 The top two shelves can be used for altars, while the bottom shelf is storage. You can come up with some pretty creative altars. 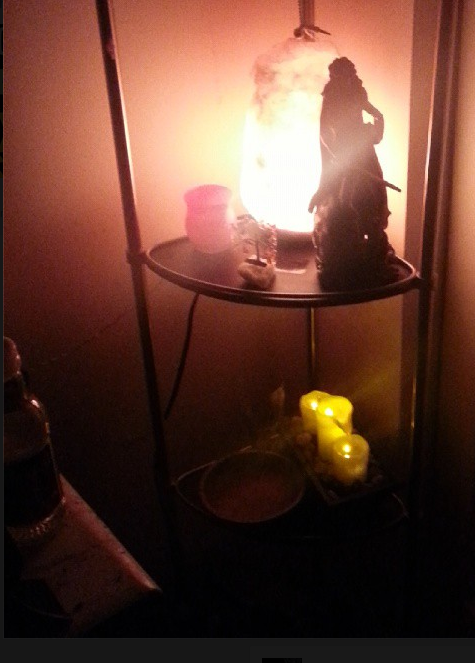 If you’re curious this altar consists on the top shelf of a statue, a candle, a small amber tree, a salt lamp. The botttom shelf has a waterfall of three candles (led), and a wood bowl and a goblet. Its in the bedroom to the side of the bedside table, a perfect location for bedtime devotionals. I don’t know what the next project will bring, but I have to admit, the concept of daily devotionals, nothing fancy, just a few minutes at the end of the day, has had an interesting impact.